The 2019 IPA calendar is finally out and has been distributed to member associations worldwide. 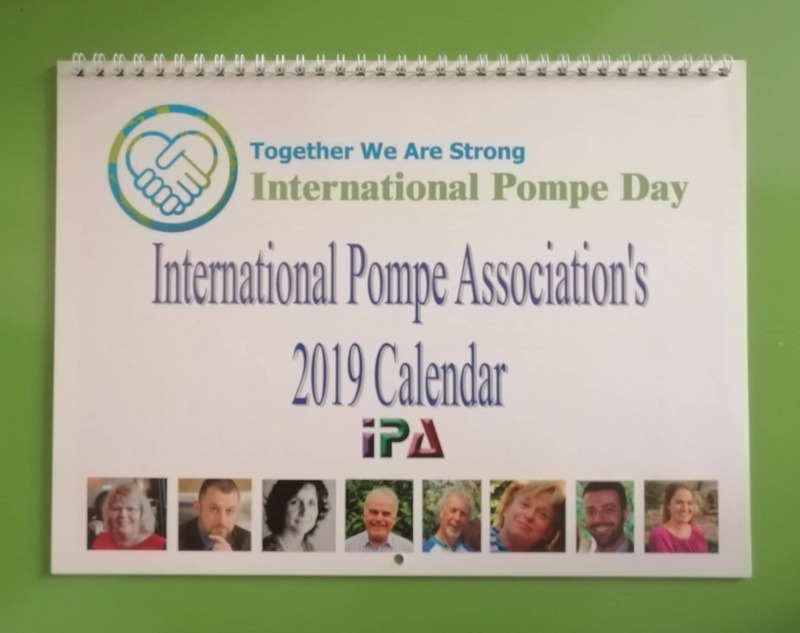 We thank the International Pompe Community that contributed to the creation of a calendar that will keep Pompe in the minds and hearts of all recipients throughout the year. 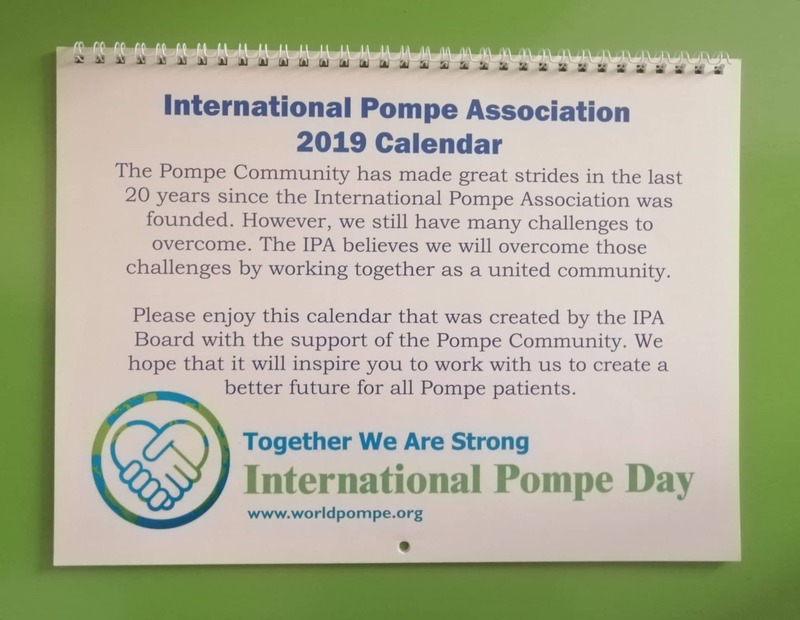 The calendar will give us the opportunity to raise awareness on Pompe disease, for not just a day, but for the whole year of 2019, which marks also the IPA's 20th anniversary. 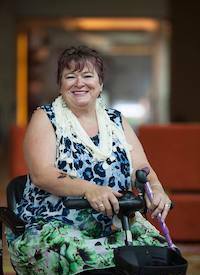 The calendar features for each month photos and artworks by the Pompe community, in addition to thought-provoking statements or questions by and for the scientific community.